Earlier this year, BlackBerry CEO Thorsten Heins alluded to a high end BlackBerry model for the holidays that made him excited. That excitement might be now replaced with a nervous grin. The BlackBerry A10, code named the Aristo, was first brought to our attention last October. 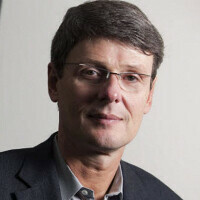 Now, it has popped up on a BlackBerry road map and could be CEO Thorsten Heins' last chance to show that BlackBerry can compete with the iOS/Android duopoly. The BlackBerry A10 is expected to sport a 5 inch screen, .8 of an inch larger than the BlackBerry Z10, and resembles the Samsung Galaxy S4. The device will be powered by a dual-core processor and 2GB of RAM. Before you lambaste BlackBerry for the dual-core silicon, word is that the company is having problems obtaining decent battery life or optimizing BlackBerry 10 using a quad-core processor. Truthfully, until this can be overcome, BlackBerry will be considered a bit player by the spec hungry power users who have been leaving the platform in droves for iOS and Android. If we ran BlackBerry, we might even consider holding off on this model until a quad-core processor could be added. Until then, BlackBerry is simply chasing its tail, always one step behind iOS and Android. Isn't that what got them into trouble in the first place? According to the road map, the only other BlackBerry model expected before the end of the year is the BlackBerry 9720, a replacement for the BlackBerry 9320, which runs on BlackBerry OS 7. There is no mention of a previously leaked BlackBerry Z5, supposedly a low-end version of the all-touch Z10. he's actually kinda reminds me of hannibal. It is not our fault that BB 10 OS can't run quadcore processors. And people wonder why BB sales are tanking. Well, maybe the misery that is BB won't be around by the holidays to foist their sub-par offerings on consumers. He surely looks nervous doesn't he. I wish them the best though. BB doesn't need any quad core processors, dual core is already enough to run their BB10 smartphones smoothly, just like Windows Phone. That is called turning a disadvantage into a 'feature'. As long as your market is not technically knowledgeable (or, you have something that no other competitor can offer, like secure push e-mail), you can get away with selling crap. Those days for BB/RIM ended around 2007/2008. No quad core CPU, no 1080p screen, crappy camera, and the market is voting with their wallets. Thanks but no thanks. Have we forgotten that it's not all about the number of cores? It's about the architecture. PA, you said in your review of the Z10 that it was very consistent in the way that it operated and rarely had any slow down, and that was on the typical S4 Plus and 2 GB of RAM, so even if they made a slight upgrade to the dual core S4 Pro (MSM8960T), there shouldn't be any slow down at all. BB10 doesn't need 4 cores, it runs very smoothly on 2. All they need is a proper GPU to support 1080p displays, which the 8960T delivers, and they'll be golden performance wise. Rock on, BB. I hope you make a comeback, and bring new innovative and useful features in your OS. Competition is always needed to push the industry. I loved BB10. It is truly innovative. They need to get their upgrade ducks in a row and get 10.2 out on a proper flagship, and they could make some noise. Unfortunately, that flagship will need to compete on specs and design, and the Aristo doesn't sound like it fills the bill. Only a dual core processor is required to run BB10 Smoothly.So why a quad core and a fast draining battery. ?Why are you people still not mentioning that iPhone 5 only has a dual core processor? Most people slamming this OS haven't given it a chance. I am worried about support. Microsoft is still clawing for App development and carrier support. If BB10 isn't a sales success I am worried it won't get the chance. But it is a great OS. It is a blast to use, it's keyboard is intuitive and top shelf, and it is original. BlackBerry has a shot to really have something. Specs do not make the phone. Performance and functionality does. I think BB has those. Marketshare not only isn't everything, it's really nothing so long as almost all of the Android OEMs flounder. Other than Samsung, nobody else is in a position to lock out a great BB device. Hahaha. Market share is everything. It is how many people will buy your toys. No sales of toys = no revenues. No revenues in this market means no company once the investors have bailed. Blackberry should came in with a 5.2 inch FHD screen with a battery of 2500 and up, it seem like they are a step behind the trend. They need to look towards the future, not the present. Hint-start making your phone software platform that can connect and work with Google glasses/watches Blackberry! IMO, having a high-end Blackberry phone would not help blackberry that much. They need to work on their software (Blackberry 10 OS), apps and their ecosystem. All they really have now is security, which is better than nothing but that really only attracts governments and businesses which is a small market. On top of that, even Microsoft is struggling with windows phones, so it is much harder for BB to compete. Maybe Blackberry should start thinking about Android. Android comes with Apps and a great OS. Maybe security could be a problem but BB could add their own security, framework, skins into Android. hmmm....windows phone growth is six times faster than the whole smartphone growth ....I don't see that as Microsoft struggling and looking to websites like gsmarena (the lumia 520 is just 2nd after galaxy s4 in most seen phones daily) ,the 520 is being in the first top 5 most viewed phones in many retailers website like carphonewarehouse and flipkart and the 520 doubling its share (which was already big) in on month ....and we r talking about one model,all this points that Microsoft and nokia r not struggling at all !! Windows phone growth is 6 times faster than the whole smartphone growth because well, their market share is very small. They did increase quite a bit but if you look at it from the current market share, Android and iOS is pretty much dominating whereas Windows phone has a tiny bit of market share. Windows Phone is not even near the market share that Android or iOS owns, so I wouldn't call Windows Phone successful. Maybe saying that Microsoft is struggling with Windows Phone isn't the right word but I didn't mean that Windows Phone is dying. Windows phone is not really successful or a failure. I meant to say that even with Microsoft's huge cash of money and being a huge company, they are struggling to make an impact on the Mobile Market share. Therefore, other companies (like Blackberry) are going to have a harder time when even Microsoft is having trouble with phones. BB doesn't need any quad core processors, dual core is already enough to run their BB10 smartphones smoothly, just like Windows Phone. I think BB should use the 2GHz dual core Intel Atom processor. Hope BB will be back on the competition soon. Good luck, BB! if they would really like to impress us they would do a quad core snapdragon or tegra 4 processor. next thing is the 1080p display. If they cant get that at the very least, it wont be able to compete with any and i mean any high end phones. Ram is good. GPU better be great as well. Adreno 330. No adreno 205 or they're out. Lastly if they really want to compete, they better not price this at 250 with contract. That's a suicide. I believe the q10 could have opened itself to a wider array of people if it hadn't been for the stupid decision to price it so high. I love technology in general. Sure, I have my preferences but I don't wish for anyone to fail. I have used BB7 and it is quite nice. I wish them the best of luck.